Marlene grew up next to the youngest of ten children on a large Midwest farm where she learned the value of hard work, commitment and problem solving. Those values and principles continue to guide her as an adult. She married and together with her husband raised two special needs children, completed her master’s program later in life and became a psychology teacher and licensed counselor. That “I can do” mindset allowed her to pick up the pieces after the death of her husband and close the final chapter of her youngest son when cancer took his life. Throughout all the ups and downs, adversities, challenges and deep losses, God has sustained, comforted, strengthened and encouraged her to go forward into uncharted waters. 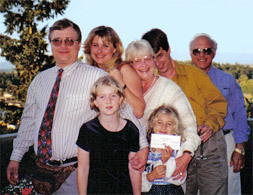 Marlene lives in the beautiful Pacific Northwest and enjoys her children and grandchildren. She sings with two chorales and currently serves on one choral board. Two years ago she was privileged to go to Rome, Italy where she joined with 240 other International Choral Society singers to sing at the Vatican and other huge cathedrals. Marlene is a member of the Northwest Christian Writers Association and their Speaker’s Bureau and the Northwest Women’s Writers. She continues to coach individuals and is a Clinical Supervisor. She loves the outdoors and get-togethers with friends. Marlene has a Masters degree in Psychology/Counseling, is a licensed therapist in the State of Washington and a National Certified Counselor. 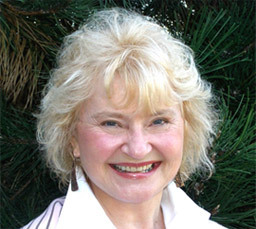 She taught accredited psychology courses at Clackamas Community College and Chapman University Extension Center and has designed and presented workshops to both professional and medical communities. As a facilitator and consultant for Kaiser Permanente, HMO, Marlene helped to edit class material, design and develop new course material and produced a relaxation/visualization tape for use with their chronic illness and chronic pain classes. She facilitated many health/education classes including parenting of all ages, ADHD parenting, Couples Communication, Low Depression and Low Self Esteem. Clinical work includes individual and couples therapy following Cognitive Behavioral Therapy (CBT) principles along with other therapeutic interventions. Continued education and training includes bereavement, Life Span Integration and psychobiology. After retiring from the educational arena, Marlene continues to use her skills, training and life experiences through speaking, writing and presenting workshops and retreats. Topics include relationships, communication, grief and loss, healing from past wounds, stress reduction and celebrating our unique selves. She is passionate about sharing God’s great love and transforming power and helping every woman discover her potential. By sharing her personal life story and providing life tools, Marlene encourages and motivates others who are going through tough times. That spark of “Yes I can” can be ignited in each of us. Marlene loves to speak to women and write to their needs. Speaking engagements, workshops and retreats can be tailored to the needs of each group. Individual coaching is available. You can sign up for her weekly blog posts and monthly newsletters using the Sign Up Form at the top of this page. Marlene has co-produced a relaxation/stress reduction CD with original music composed by award winning composer, Ron Jones, available on her website. She is the author of A Love so Great, A Grief so Deep, and is a contributing author to It’s a God Thing and Heaven Touching Earth, all available at Amazon.com. Her book, Use Stress to Meet Your Goals, along with its accompanying MP3 recording, is available on the Product page. A new manuscript, From Winter to Spring, will be available soon. Marlene Anderson is an inspirational and motivational speaker, author and retreat leader. 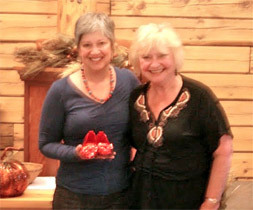 Co-speakers at the Winthrop, WA Women’s Retreat.